Are you a kind and thoughtful boss? Great! Do you usually support your staff when they are going through a tough time and do you forgive their mistakes? Even better! Do those who work with you feel safe and that they can talk to you about anything? Bingo! To be a manager and a leader is in itself very easy. You actually only have one mission: to ensure that your company or your department deliver according to plan, or preferably even better. Just get on with it and work hard and everything will fall into place. Simple, right? It can indeed be very frustrating when things do not work the way you would like them to, when people do not speak, think, act or behave the way you expect. The problem is just that there are few, if any, who always think exactly like you. People are, thank goodness, different. If you are really serious about wanting to get your staff on board and on your side, you do need to start by finding out what – and brace yourself now – they expect from you. Does the idea that you are supposed to understand them and not the other way around make you feel uncomfortable? This would be understandable, but understanding your co-workers is actually essential in order to be a good leader. Emma Säppälä, PhD in Psychology and researcher at Stanford University, and Kim Cameron, Professor of Leadership and Organisation at the University of Michigan, have studied recent research in the field in order to answer the following questions: How do you create a positive and healthy corporate culture? Where efficiency and productivity go hand in hand with the wellbeing of the staff? In short, what signifies good leadership? In an article in The Harvard Business Review, they both offer their view on what is key when it comes to establishing a positive business culture and they share some advice on what you as a manager can do to create the best possible conditions for your group, team, department or company. Here are the six aspects which, according to the gathered research, characterise a good, efficient work place. Friendship: Everybody cares about and takes responsibility for their colleagues, even as friends. Compassion: Everybody supports each other, is friendly to each other and feels compassion when someone has a problem. Forgiveness: Everybody forgives mistakes and does not blame their own mistakes on others. Inspiration: Everybody tries to inspire their colleagues. Purpose: Everybody contributes to emphasising the purpose of the tasks. Respect: Everybody treats each other with respect and shows gratitude, trust and integrity. • Encourage (and take part in) social interactions at work. The more co-workers get to know each other, the better the chances that they will also be there for each other and support each other. In addition, social connections are linked to a number of positive effects on your health: fewer sick days, quicker recuperation after an illness, fewer cases of depression, increased cognitive ability, improved memory, increased lifespan… And performance at work is enhanced too. • Empathise with your co-workers and show them that you do. Several studies show that how you act and appear as a manager and leader has great impact on the behaviour of your staff. 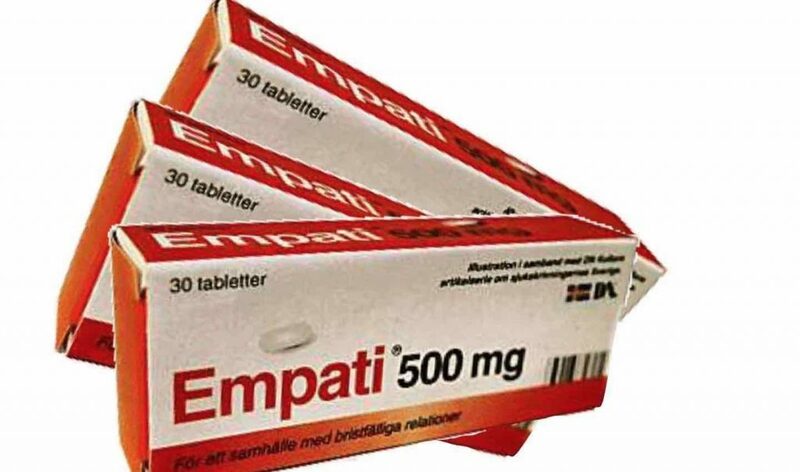 Empathic managers tend to have empathic staff. Rude managers tend to get… well, exactly! Empathy between people also leads to increased resilience in the group in case they are up against more challenging situations. • Be there for your staff and offer your help – even when you do not have to. Have you ever gone through a more challenging period in your life and received unexpected help to solve the problems? If so, you probably still feel grateful to the person who helped you. If you act in this way towards your staff, chances are that you will have some loyal friends around you for a long time. They will also trust you and become more willing to cooperate and think that you are a great manager. But, more importantly, they will most likely also model on your behaviour and in turn help their colleagues. Win-win it its finest form…! • Talk to your staff, particularly about any problems they might have. If your co-workers dare bring up their problems with you and ask you for help, you have established a great foundation for growth and improved performance. Co-workers who feel safe dare admit their short-comings and will therefore also be more curious to learn new things and to grow.